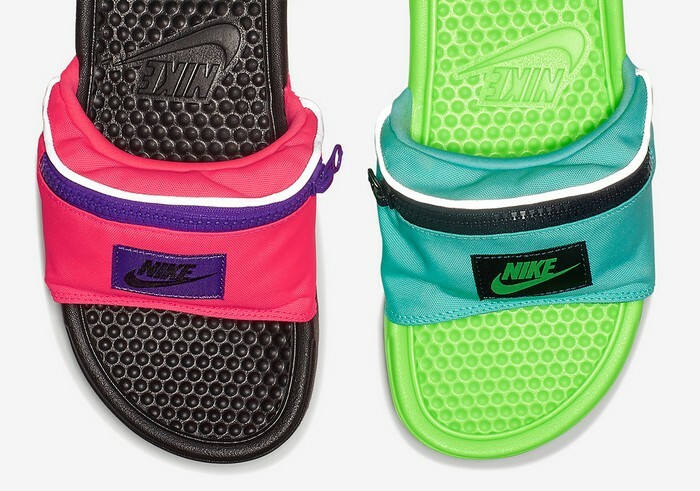 With Father's Day coming up you can either buy your dad or hubby the same generic cologne or tie, or you can get hilariously original and buy him these Nike fanny pack sliders. The day we've all been dreading is here – the day where the term 'ugly fashion' has become a reality. 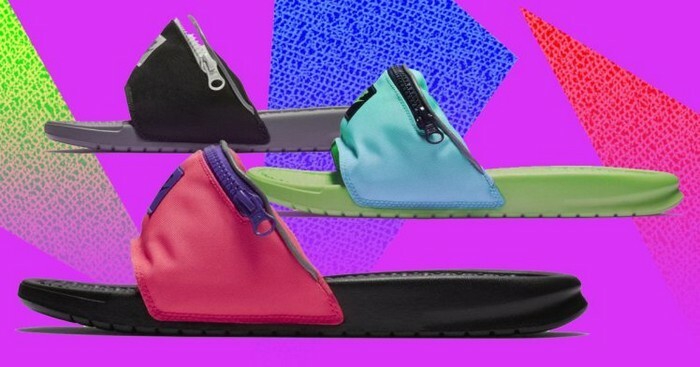 Major fashion moguls like Prada, Gucci, and other haute couture power houses have introduced some of the most purposefully ugly items ever seen this year. From ill fitted jeans through animal prints and all the way to waist high (yes, waist) boots, ugly fashion is here and it's louder than ever. While a lot of trends are designed mostly for women, this year men can also enjoy the ugly fashion trend, which is especially great for Father's Day. 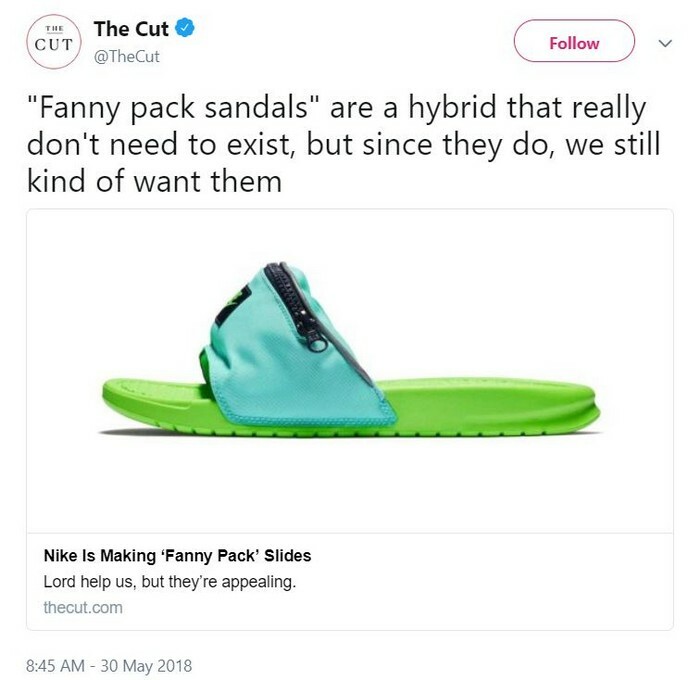 So, if you are still searching for a gift for your husband or father, look no further than the fanny pack sandals. 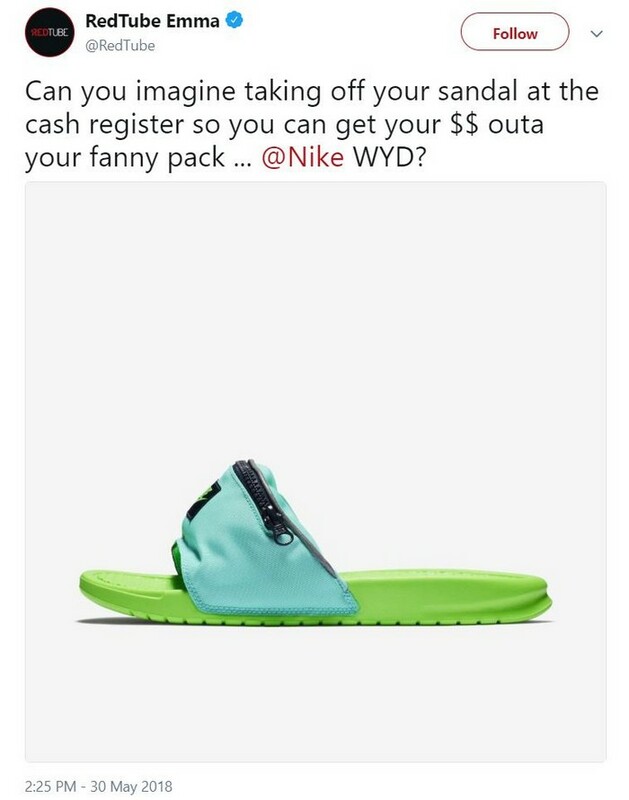 The genius product is the brain child of Nike designers who came up with the ultimate shoe for dads everywhere. Especially those who love embarrassing their kids. You know who you are. 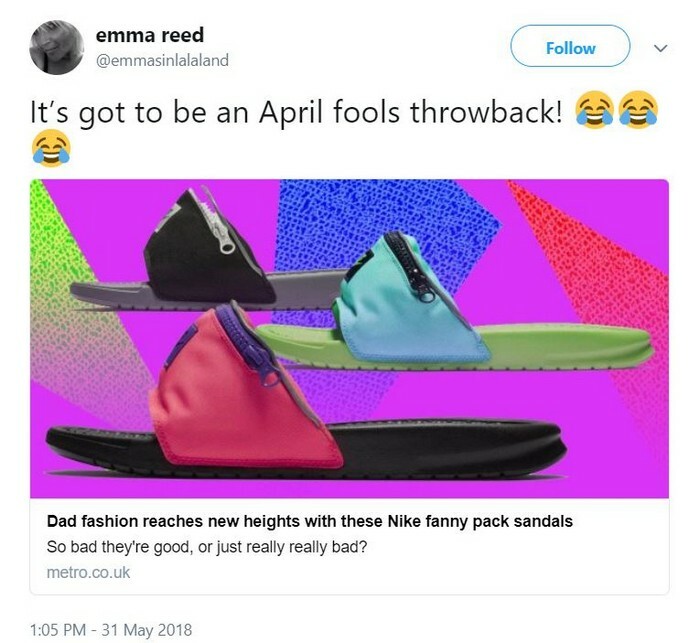 The comfy sandals have a small fanny pack instead of a strap, so you can carry all the small items you need, like change, keys and anything else you don't have pockets for. Enjoy!